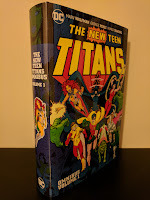 Pérez has long been considered a titan of the comic book industry. 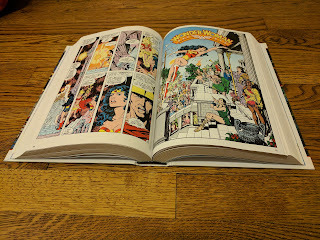 Despite that I had only read a small number of his works in the past (Crisis on Infinite Earths, Hulk: Future Imperfect, Infinite Crisis, and Infinity Gauntlet). 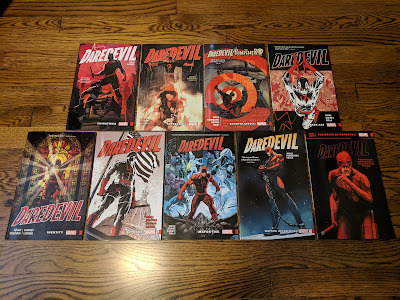 It wasn't until I read this collection that I truly fell in love with his art. 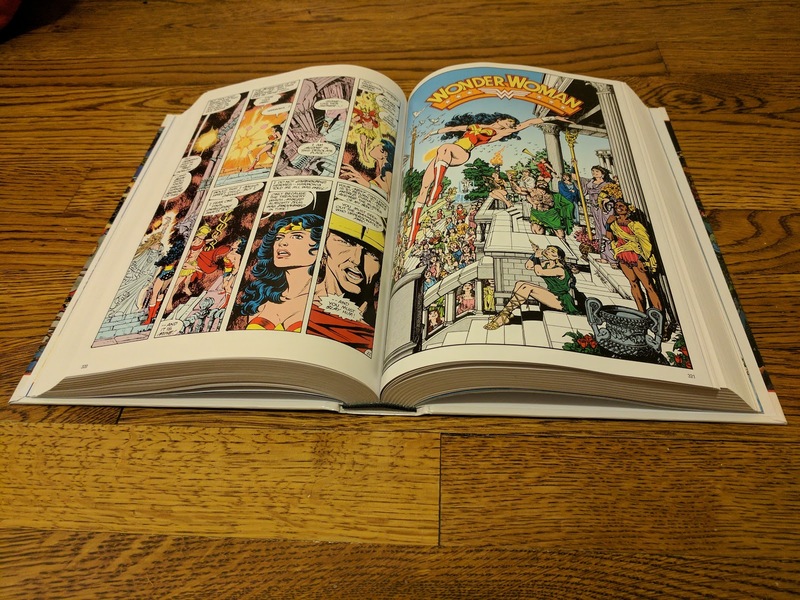 This run relaunched the Wonder Woman title post-Crisis on Infinite Earths, and Pérez covers virtually every aspect of the character from the ground up. Quite literally actually, beginning with the creation of the Amazons, their relationship to the Gods, Diana's being molded from clay by Queen Hippolyta (referred to as Hippolyte throughout the run) and her being 'born' as the Amazon's greatest warrior. Considering that this material was first released thirty years ago, many of the themes were well ahead of their time. Pérez deals with misogyny quite a bit, using it as an important component to the Gods' creation of the Amazons (they were all souls of women who had "their lives cut short by man's fear and ignorance" and given new purpose by Athena, Artemis, Hestia, and Aphrodite). He goes on to deal with sexism in a number of ways, while at the same time showing Diana rise above it all because of her selflessness, strength, and love of all life. She finds herself as both an innocent, a newcomer to "man's world" and as a strong, independent female roll model. My limited prior knowledge of the characters in Wonder Woman's corner of the DC universe led me to only know Steve Trevor as a love interest of Diana's. Pérez portrays him as more of a father figure when he is first introduced. The budding relationship that Trevor does have throughout these issues is with another Wonder Woman supporting cast mainstay: Etta Candy. It took me a little while to get used to this difference, but I found myself liking this portrayal as it allowed Pérez to go another direction with the relationship between Trevor and Diana. One that I felt added a really nice dimension to the story being told. Diana's deepest emotional relationships in this collection are with Harvard University Professor Julia Kapatelis and her daughter Vanessa, the first people Diana meets upon her arrival in Boston. 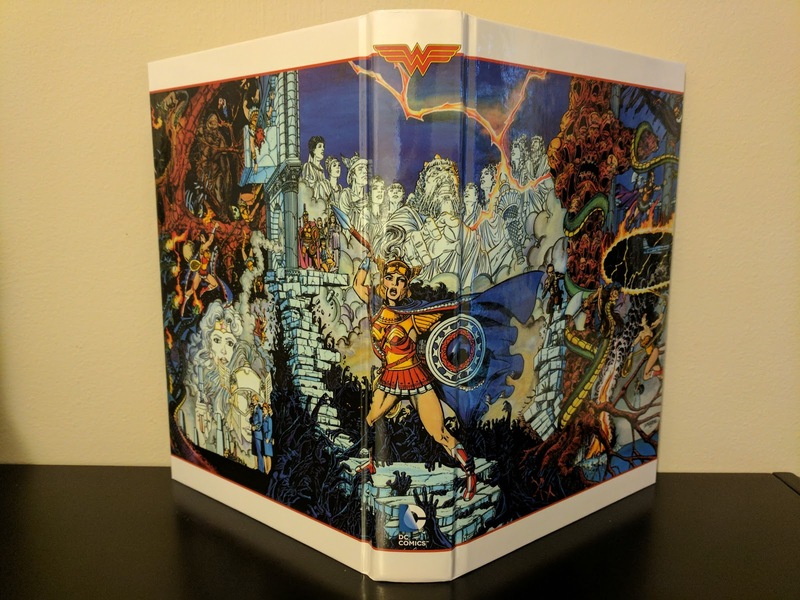 Pérez's work on Wonder Woman is kind of unique. 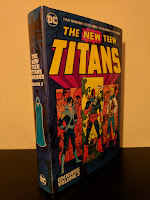 He began the run as co-writer and penciller, a double duty he retained for the entirety of this collection before transitioning to writing duties only (beginning with issue #25). 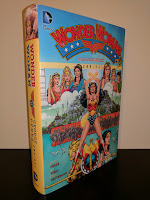 Co-writers on the issues collected here include Carol Flynn, Dan Littleford, Greg Potter, and Len Wein. As I developed a much greater appreciation for Pérez's artwork throughout the course of this collection, I am very intrigued to see how well volume two compares as it will not benefit from his artistry. 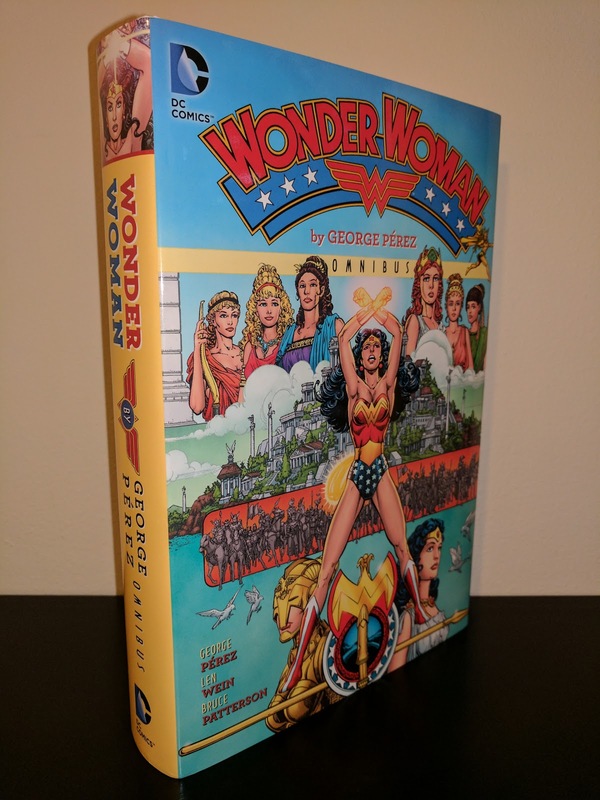 I would highly recommend this collection to anyone interested in Wonder Woman as it is easily accessible and holds up well despite being thirty years old. 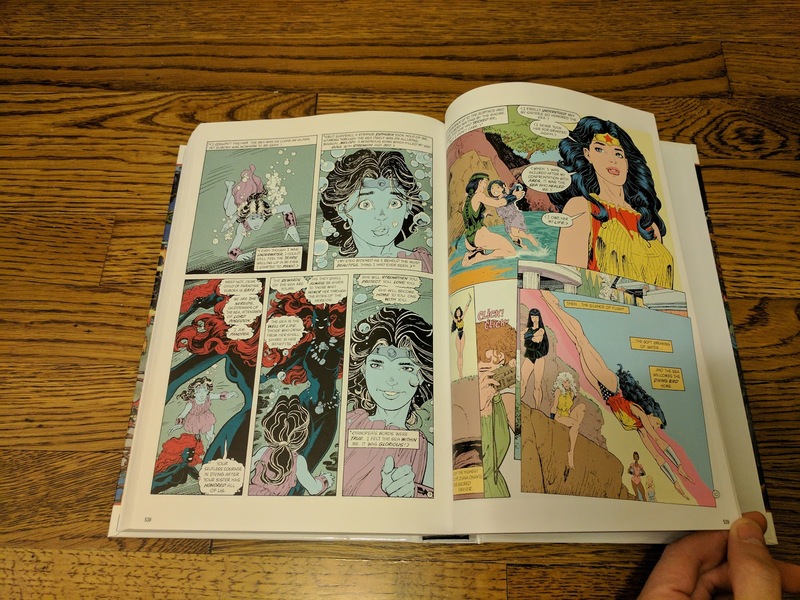 The way that Diana's acclimation to "man's world" is intertwined with Greek mythology is expertly executed and very entertaining. 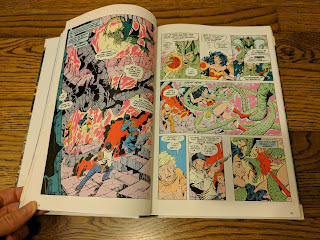 For those interested in extras, there is a cover/pin up gallery as well as character pages from 1985-1986's Who's Who: The Definitive Guide to the DC Universe that Pérez provided art for. I'm quite pleased that I decided to pick this omnibus up. 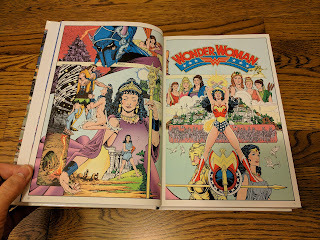 It is a beautiful collection of some classic Wonder Woman material, it furthered my interest in the character, and it opened my eyes to just how amazing George Pérez's work can really be. It is now one of my favorite books in my collection. I will definitely be picking up Volume 2 when it is released this week, and I will likely drop whatever I'm in the middle of to reading in favor of it as soon as I have it in my hands.